I promised you a special guest host, didn’t I? After unseating five-time champ John Schultz, Amanda Boitano is out of contention. She should hold her head high after that True Daily Double, however. I was hoping we’d give Cerulean a more exciting situation, but at least it’s not a double-lock. If Mehmet doubles his score, he’ll have 14,000. To cover this all-in wager, Nicholas will need to wager 3,200. An incorrect response with that wager will leave Nicholas with 7,600. To get above his total, Mehmet must wager at least 600. Since he must get it right, I prefer the all-in play. Our gentlemen are separated by 3,800, which becomes the minimum for Mehmet and the maximum for Nicholas. 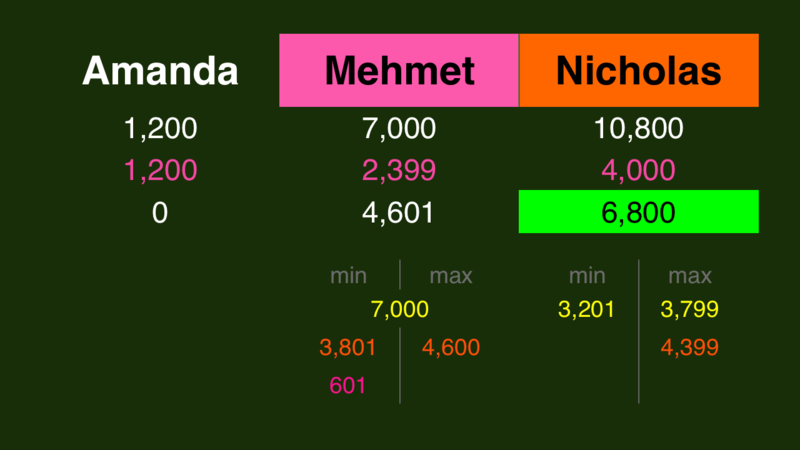 If Nicholas assumes Mehmet will play to win, he can tack on an extra 600, although that’s a little risky. 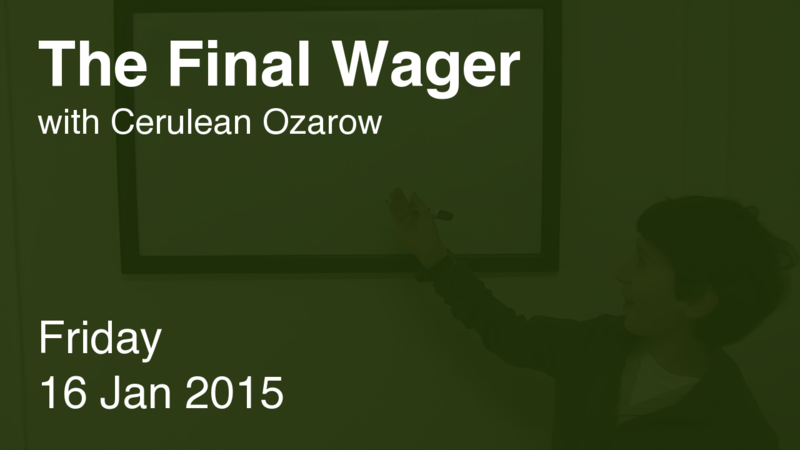 Poor Cerulean – I let out a huge roar when that last wager came up. I’m pretty sure it scared the heck out of him. Cerulean would also like to wish Ben Franklin a happy birthday. He would have been 309 years young tomorrow. Special thanks to Cerulean and his mom Rosy for joining me this evening! In the last 10 regular games (counting tonight) in which we had three players in Final Jeopardy we have the following result: In 1 case all three got it right = easy. 3 cases of 1 right + 4 cases of 2 right = 7 ok and 2 cases of 0 right = hard. So that’s a “final jeopardy degree of difficulty = just right” score of 70%. The “average degree of difficulty” score (higher is harder) is 1.60. Today’s FJ was a triple stumper so the “no triple stumper on FJ” streak now stands at 0 days. Cerulean, my man, you have what they call IT. I think you should host once a week, if not more.